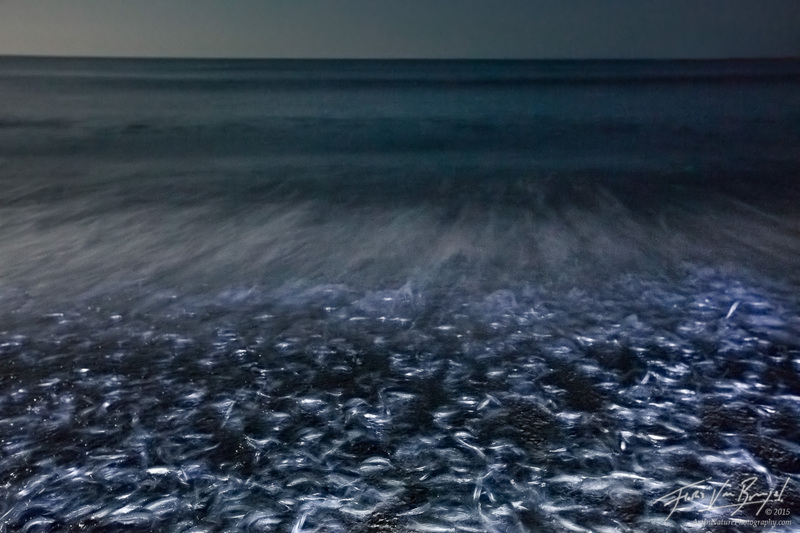 During spring and summer months for the four consecutive nights after full and no moon thousands of little wriggling silver fish called Grunion come ashore to mate and lay eggs on flat sandy beaches in southern California. This was a particularly dense group of fish I found on Doheny State Beach around 1am during one of the spring runs. The illumination comes from the mostly full moon, and a headlamp to highlight the flopping fish.